This article is about features of Tally ERP 9 which help any business to identify it's most valuable customers and how they can be retained once identified. For any business customer is the King. A business strive to give best of it's services or products to it's customers. Businesses invest crores of rupees to understand what a customer wants and how his satisfaction can be achieved. Big business houses and brands keeps analysts, researchers to know what bests suits to it's customers and what more is done to be more customer friendly. Every business yearns for loyal customers. But How to identify who is a good customer? Who is a loyal customer and then how to retain that customer is a valuable and big question for every business. If you can suggest them the way to retain them they can give you what ever you want. Have you ever give it a thought that a software like Tally can help you identify which is your most valuable customer? Yes. Tally can do it. More over it can tell you how to retain that customer. How would you identify your most valuable customer? To answer this question you should first answer who is you most valuable customer? 1. Provides most of the sales to you. i.e. is volume of sales to him is more. But it should be compared to the cost of providing that sales. 2. Which gives him business in the lean season also. 3. 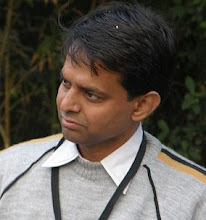 One who gives reference to you and tells your product or service stories to his peers also. 4. Who's retention rate is high and is a buyer of your other products too. 5. If customer is a brand in itself. 6. Provides you feedback from time to time. I am adding one more aspects also. 7. How well is his payment terms with you. 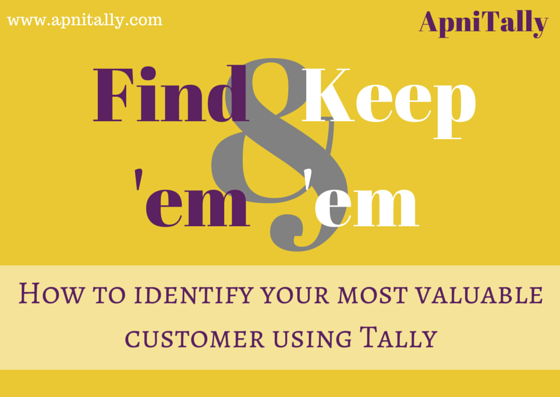 How Tally is going to help you in identifying your most valuable customer? The answer starts with a simple but important question. How frequently your customer buys? More frequent the buyer is more valuable he is for our business. Can Tally tell you how frequently a particular customer is buying from you? Yes !! Tally Can tell you. Tally can provide you information about how frequently a particular person is buying from your business in a month. You can find the frequency over a period of time. Just follow these steps :- Display --> Account Books --> Ledgers and then select the ledger of your customer. Here you can select time period you desire by pressing Alt + F2. Here press F12 and the sorting method would let you decide the frequency with increasing and decreasing order wise. How Much is the volume of a customer? In addition to frequency if you can find out the volume of business done by the customer then it would be easy for you to identify valuable customer. Tally can give you all information about How much volume you have achieved with a particular party on a specific period. It means you can arrange all your customer over a period say for a month or quarter or a year on basis of sales volume. This way you can identify your most value give customer. How this can be achieved ? It would show you all sales according to date you entered for particular record. Now press F6 for Extract of the sales for a particular month. You can check out for that month who is your best buyer in terms of volume. Alt+F1 at this stage would give you detailed view. How good or bad is the payment performance of a party? A customer may be of high volume but a business prefers one who easily and timely gives money for products and services. We try to concentrate on that customer whose payment performance is very good. Tally lets you identify the payment performance of your customers. Here noteworthy thing is that you can set payment terms with each customer by setting different credit periods and different credit limits. Later on you can check how they are performing on those conditions. To retain a valuable customer, he should be treated with free gifts, extra credit period, cash discounts etc. A business can decide whom to give discounts and whom not to. A business can decide that the most valuable customer should get high credit facility based on his performance. 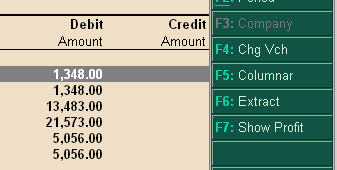 As discussed earlier you can set credit limits for your customer so change credit limits of valuable customers. If you give free items as discounts then you can track how much free items have you given to your customer. In a way you can track how much free quantities you have given to your valuable customer. How this can be done ? Tally can help you to track the free items given to customer in two ways. One way is to see it party wise and other is to see it item wise. You can see the free items given by you across party lines as well as item wise. would tell you all items given by you to that particular party. Further drill down to each item would let you know How much free items are given by you and how many times it is given. would tell you how much of each item has been given to which parties. This way you can retain your customer and identify your most valuable customer. Readers can share their experiences in comment box.